We are proudly to present DA ENDORPHINE live concert in BOSTON, come dance and have fun with a full live performance (1.5-2hours), sing along with her popular songs that we all know on Wednesday November 3rd, 2010.
enjoy with a local live band TTB and DJ from NYC prior and during the event. It is an event that you all can not be missed!!! 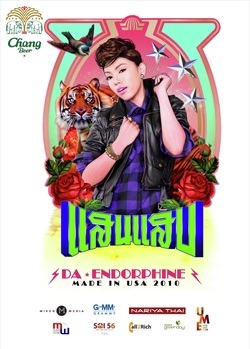 The event which you can not be missed, the first full live concert tour of Da Endorphine in the US.